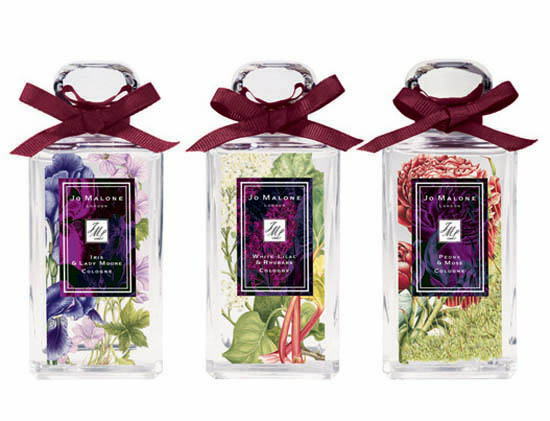 Jo Malone announced a new collection of limited fragrances named London Blooms, coming out in March 2012. London Blooms collection was inspired by the art of botanical gardening and beautiful English lawns. The collection presents three fragrances signed by Christine Nagel: Peony & Moss, White Lilac & Rhubarb and Iris & Lady Moore. Their floral compositions are created with the aim to provoke feelings of happiness, romance and good mood. White Lilac & Rhubarb is a feminine and romantic fragrance composed of notes of rhubarb, white lilac, rose and heliotrope. Bottles and packaging of the collection are decorated with floral illustration of vintage vibe. 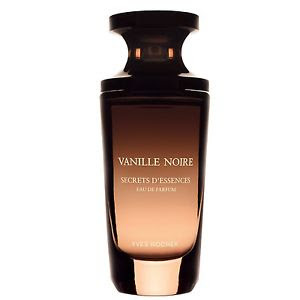 The fragrances are available as colognes in bottles of 100 ml. Trust Jo Malone to 'get' an English garden primal perfume (primal in an elegant English way of course) and bottle it. The scent of this perfume is all at once floral and earthy - almost as if you spent the day digging out tulip bulbs and were bathed in spring sunlight with and fallen lilac blossoms all around you and a basket of fresh cut rhubarb nearby. This is one of the most romantic of all Jo Malone scents although being Jo Malone, it is fresh and feminine versus sultry and sweet. A great day time perfume and in a wonderful nod to one of my favorite scents:lilac and a favorite taste: rhubarb. Airy, light, and eventually, captivating if you give it a chance.